Urban hikes are the rustic yet still cool cousin of walking: they normally follow a trail, often begin at a lower elevation and end at a higher one, and they're longer and way more strenuous than your typical saunter to the corner for a cup of coffee. 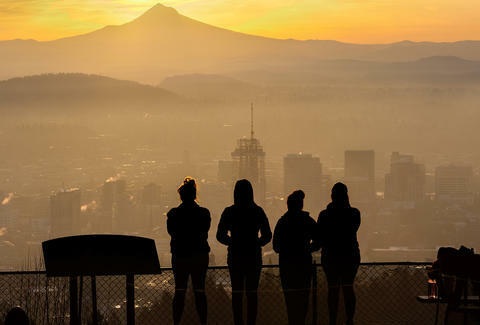 With more people getting into urban hiking as a new way to explore their own cities or to discover new ones, meet-up groups are spawning and city governments are mapping out urban trails. Ready to get hiking? 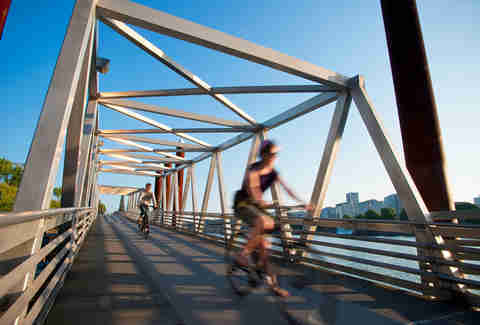 We’ve compiled a list of the best cities and places to hit the pavement with purpose. One of the more attractive cities for earth conscious folks, it’s no surprise that Portland has detailed urban trails mapped out for city dwellers. The Alameda Ridge and Stairs route is a cardio lover’s dream. Everywhere you turn, there’s a new, longer staircase to conquer and an uphill climb to fight your way through.The best part is hitting up one of the city’s 500 food carts on your walk home, because nothing tops off a run better than a big fat gourmet donut. 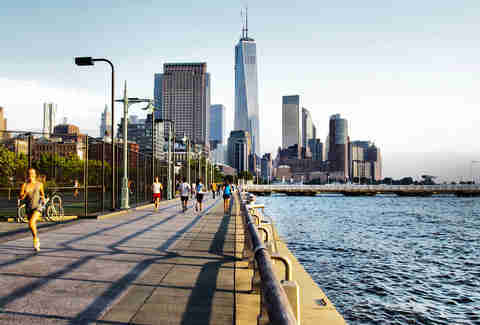 The city that never sleeps isn't known for its majestic natural beauty, and that’s why this urban trail will blow your mind. Beginning at Inspiration Point just north of the George Washington Bridge, follow the westside waterfront greenway all the way down to Battery Park. While there’s no danger of being eaten by bears, bicyclists tend to fly on this trail, so stay on high alert. No one walks in L.A…like, ever. 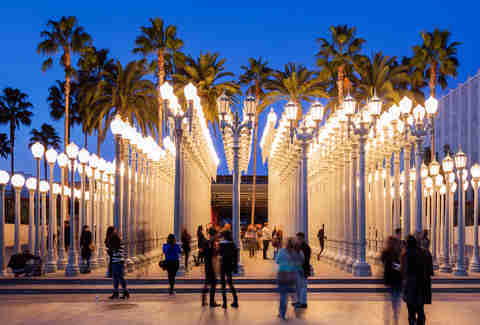 But if you choose to get off the congested highways and take the foot-paths less traveled, you must follow the trek hosted by L.A.’s Architecture and Design Museum and led by L.A. native, historian, and poet Mike Sonksen. He performs spontaneous live poetry as he leads groups through hip, on-the-low neighborhoods like Little Tokyo, Leimert Park, Macarthur Park, and the Downtown Historic Core. Even the hikes in L.A. are dramatic. Streetcars are for wimps and tourists. 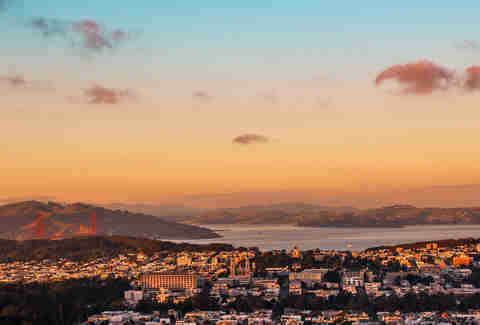 If you’re up for the challenge, San Francisco's seismic hills will set your calves ablaze. The architecture, gardens and wild people watching here will make any road you wander down a true adventure. Start with the no-brainer walk across the Golden Gate Bridge and take in sweeping views of the city skyline, Alcatraz and Angel Island. Looking for more nature? Jump on the gorgeous 10.5 mile California Coast Trail. You won’t regret it. 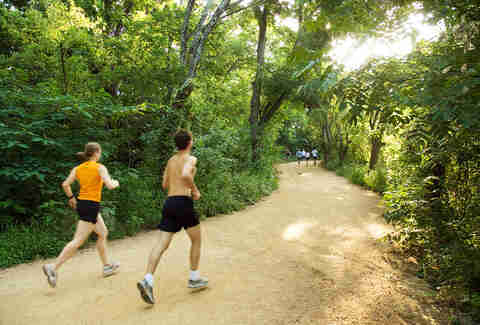 The city of Austin is working on developing more than 300 miles of urban trails, though you’ll have to settle for just 30 miles of city trekking, for now. This city is wacky, fun and steeped in rich Texan culture. Check out the five mile Tejano Healthy Walking Trail that starts at the East Austin Neighborhood Center. And then finish it off with some good old Austin BBQ, canceling out all of those calories you just burned. For southern charm and ripped quads, hit the cobblestone trails in Savannah, Georgia. 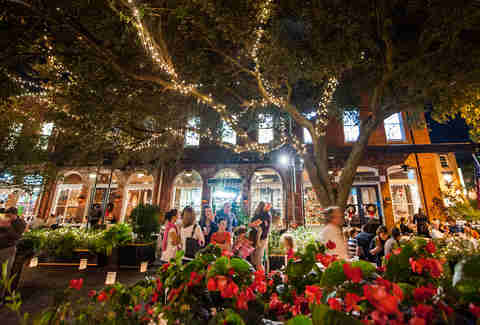 Start at the City Market and take the stairs down to historic River Street, then loop back up and around the old colonial style homes and towering oak trees to smell the flowers in Forsyth Park. End your day at creepy Bonaventure Cemetery, famous for its role in the best-selling novel Midnight in the Garden of Good and Evil. Urban hiking in Miami gets hot. Set yourself up with lots of H2O and SPF for this 5 mile Art Deco walk. 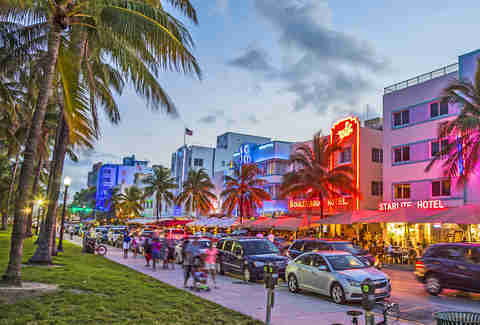 Start with "South of 5th Street," a historic and scenic area of South Beach and navigate your way toward the new Miami Beach pier. Feast your eyes on the outstanding views of the Miami skyline as well as the overly-tanned bodies playing beach volleyball. Then, head toward the Art Deco district, wander down Espanola Way, and make sure to hit the 17th Street Lincoln Mall and shops. Wrap it all up at the Miami Beach Botanic Gardens where the admission is free and the nature is fresh. Talk about mixing culture and cardio. Millions of tourists flock to DC every year to stroll the National Mall and gaze upon monuments to our nation’s great heritage. Don’t get trapped in the scores of visitors, take this three and a half mile urban trek west of 14th Street to see all of the nation’s monuments with room to breathe. Start at the Washington Monument with a quick view of the White House to the north, then head west to the National World War II Memorial. Find Constitution Gardens to the north by crossing the levee, then continue on to the Vietnam Veterans and Lincoln memorials. 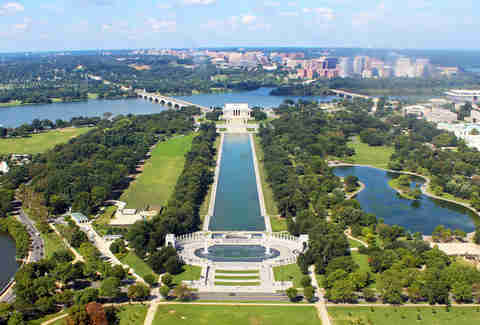 Head east and stand between the Reflecting Pool and Independence Avenue to find the DC War Memorial. Take the mile and a half loop around the Tidal Basin to see MLK Jr., FDR and Jefferson memorials. End your patriotic walk with a stop to see the thousands of tulips that have been planted every year since 1969 at the Floral Library. 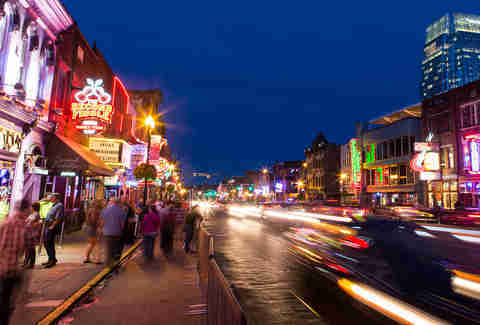 Hang up your cowboy boots, the urban hiking movement is redefining Nashville nightlife. If you’re just visiting or are a native, be sure to check out this evening meet up that takes trekkers on a 5.2 mile hike starting at Thai Phooket and winding through some of the city’s most famous buildings, neighborhoods and parks. This one will help you work up a sweat and an appetite -- as the hike wraps up right where you began, at Thai Phooket, for a healthy dose of pad thai. That’s exactly the kind of exercise we can get behind, the kind that ends with food! Not for the casual hiker, this 18.2 mile urban hike around the Chicago Lakefront will test your stamina and the state of your sneakers. Get an early start on this beast -- you’ll be walking from north to south, from Rogers Park to Calumet Park. 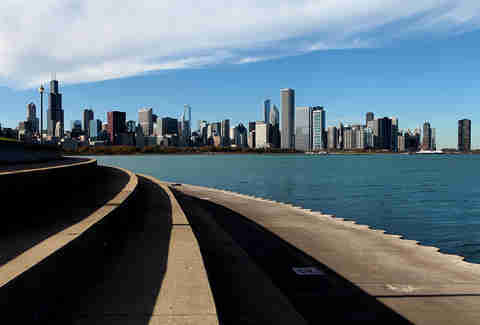 Sample small slices of Chicago’s culture from the people watching at Hollywood Beach to the bird sanctuary at Montrose. Feel the beats of the African drum circles at Jackson Park, and make sure you treat yourself to a big slice of that Chicago deep dish pie afterward. You’ll deserve it.